Mars Hill kicked off the 2012 road season at Georgia Southern University over the weekend, competing in the team time trial and road race events on Saturday and the criterium on Sunday. The GSU race weekend in Statesboro, known as the “Battle in the ‘Boro,” has served as the first team race of the year for the last three years, and has become an indicator of overall team strength and cohesiveness. The women started the weekend well by winning the TTT over Cumberland and King. The men followed with a strong 2nd place performance with Cumberland taking the win and King a close 3rd. Mars Hill’s B team took 2nd to Lees-McRae. Saturday’s road race, held on a flat 13.6 mile circuit, was made challenging by a strong wind and a rough road surface. After 3 laps of aggressive racing, the women’s field came to the line together with Stephanie Cucaz of King taking the field sprint win over Mars Hill’s Mariske Strauss. Klara Rossouw finished 4th. The men’s race was fast from the gun with a 9-man break escaping on the first lap. With no representation in the break, Mars Hill organized a chase but couldn’t bring back the large group. Sebastian Scherf finished in 11th, and Corey Davis in 20th. Mars Hill’s two B riders, Barry Wilcox and Jake Dixon, both finished in the top 20, as did Jake Mills in the C race. 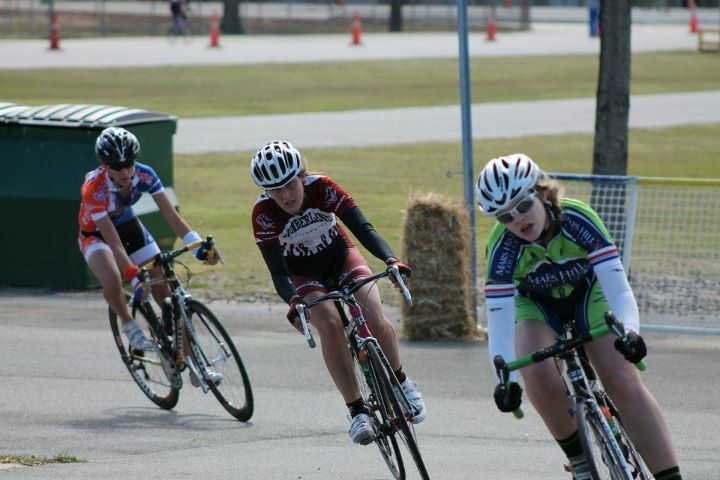 Sunday’s criterium was held at the Paulson Stadium and featured a technical circuit with two S-turns per lap. The Mars Hill women were aggressive from the gun with Klara Rossouw helping launch Mariske Strauss off the front. Despite a strong chase, Strauss held on for the win with Roussouw taking 5th. Steph Bunnett finished in 10th. The men’s race split in the first several laps with Tim Jenkinson and Sebastian Scherf making the front group of 14 riders. Scherf finished 5th and Jenkinson in 8th. The B and C men finished their races in the top 20. Full results and rankings can be found at the conference website: www.seccc.net. Next race for the team is this weekend at Cumberland University near Nashville. 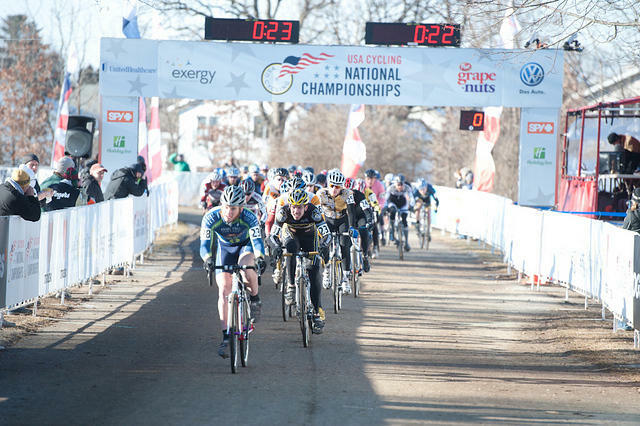 Timothy Jenkinson leads the pack on the first lap at cyclocross nationals. 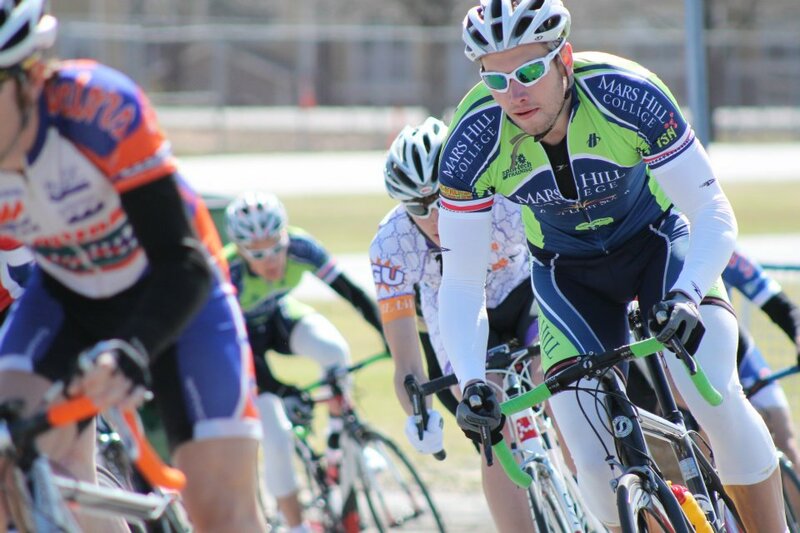 USA Cycling released the current national rankings earlier this week, and Mars Hill is the number one ranked team in division two after three of four events have been completed. 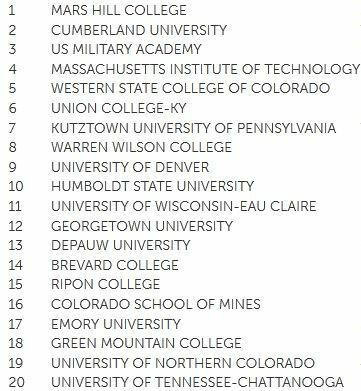 After track, mountain bike, and cyclocross nationals, Mars Hill leads Cumberland University by 26 points with the US Military Academy, Massachusetts Institute of Technology, and Western State College of Colorado rounding out the top five. Collegiate road nationals, the final event of the school year, takes place in Ogden, Utah, on May 4-6. With points fairly close amongst the top four schools, there’s sure to be a shakeup in Utah. For full report and complete rankings visit USA Cycling.